As a relative newcomer to the web front-end, one thing that always surprised me was how many moving parts you need to get something running. This is probably true elsewhere (i.e. in back-end development, and desktop development) but we just do a better job of hiding it. In the past, people writing web-pages have always has an uneasy relationship with Microsoft. Maybe it started in the late nineties when, in order to win the battle of the browsers with Netscape, Microsoft started giving its product away. Since then IE became more and more bloated, as it had to support 10 years worth of old technology, and people have had to ensure it still worked on IE 6 and 7. 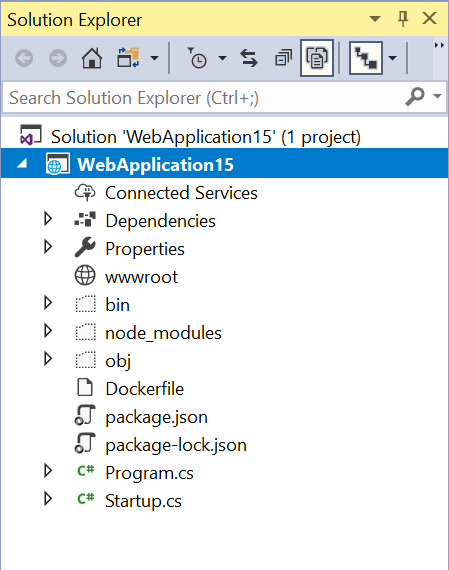 But now things are different, Microsoft is a rebranded company and nobody hates them anymore… and when you create a brand new Asp.Net Core 2.1 project, you can use npm to install client side packages, use them in your web page and it all just works – end of the post. Except that hasn’t happened. In fact, the client side package management for the web seems (to me) to be in a bit of a mess – especially where Microsoft is concerned. 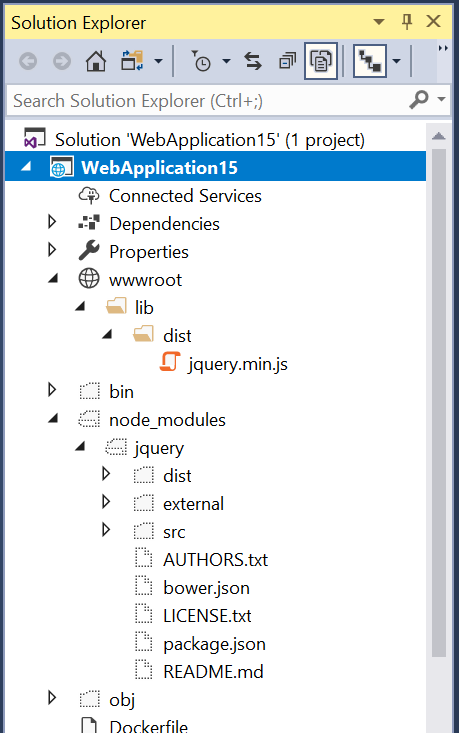 Create a brand new Asp.Net Core 2.1 MVC project from the template and it comes with jquery, supplied by bower; except Microsoft aren’t continuing support for bower anymore. 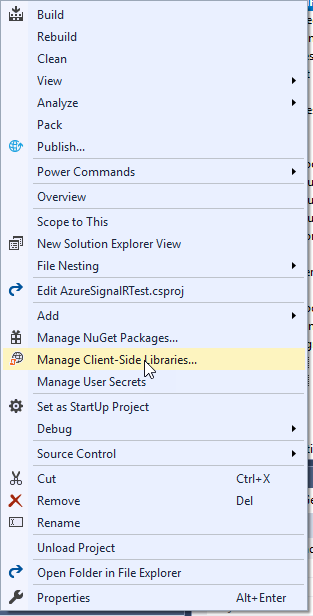 So, use NuGet to install your package? 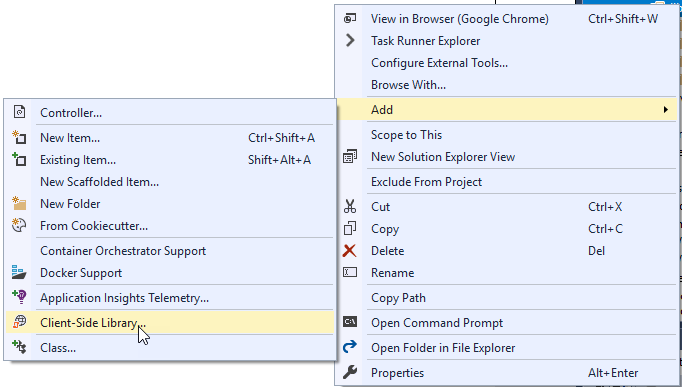 Nope – not on .Net Core! So, use npm – that’s still supported? 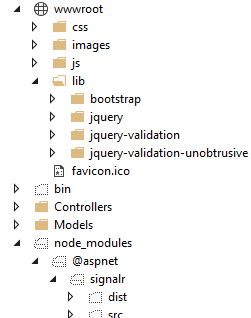 Okay, so it puts it in ‘node_modules’ – I can reference the library directly from there, right? Nope – it needs to be in wwwroot\lib. Errr – so I copy it across manually? You can. Although that’s kind of the problem that package managers were invented to solve. I can create a gulp task to take the files out of the downloaded directory and place them into the lib directory! Yes – yes, you can. 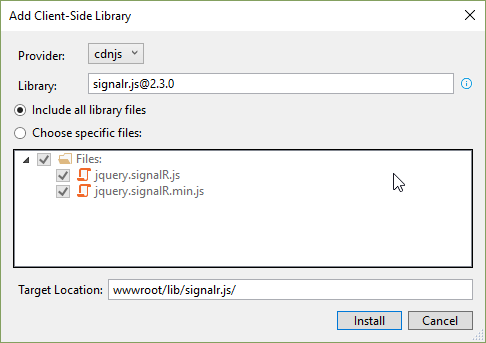 Although now you have a gulp task, and an npm restore, all so that you can include one or two files in your project. This all just seems too hard! Alternatively, you can just have a look at the libman.json file (they both do the same thing as of 15.8.7, which makes me wonder whether “Manage Client Side Packages…” will do something different one day – the ellipses kind of give it away). There’s a CLI for it (which seemed to balk a bit when I tried to install it via NuGet), and you can use this as a replacement for Gulp to copy files around, by just selecting “File System” as the source (although this sort of solves that problem further down the tree). 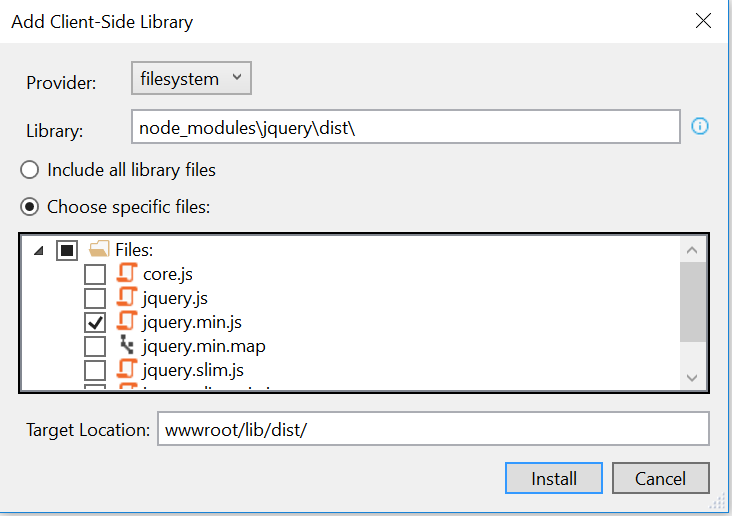 This entry was posted in Web Development and tagged bower, Client-Side Libraries, Install Client-Side Libraries, node_modules, npm on October 14, 2018 by pcmichaels. One way that your web-site might be vulnerable to an attack is via Cross Site Request Forgery (CSRF or XSRF). If you’ve ever been logged into a web-site – say Twitter for example – and you open a separate tab, then type in a twitter account, for example: https://www.twitter.com/paul_michaels, you’ll notice that when the site opens, it opens already logged in for you – which is very helpful. Imagine having to re-log-in every single time you wanted to view a tweet or a profile. Okay, now imagine that, instead of typing that into the browser, you click the link above – try it! What – it didn’t take you to Twitter, but it took you to the home page of this blog? In fact, that’s exactly how a CSRF attack would work in practice. If you were already logged into that site, the link could have executed a CSRF attack. 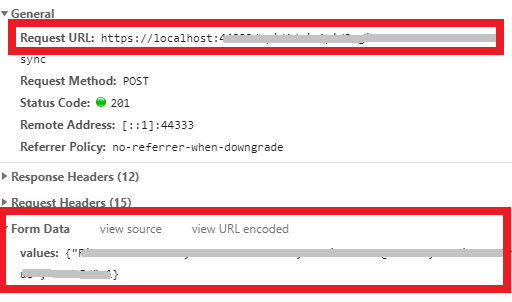 Cross Site Request Forgery works on the premise that the victim of the attack is actually logged into a given website with valid credentials, and the attacker knows the exact format of a valid request. So, for example, I can take you to my Twitter profile, because the format of that is well known. Nobody, least of all Twitter themselves, want you to have to mess around logging in again. It’s a little difficult to demonstrate, because Twitter operates over HTTPS, so the traffic is encrypted, but the gist is that, even if I managed to create a site that copied this message exactly, the Tweet would not get created. Let’s have a look at replicating such an attack. Your first step is to create a really bog standard web site – the default MVC template will do. It might also help to demonstrate if you don’t use HTTPS. Leave the app running and logged in. Obviously, don’t use that code – otherwise you’ll cause over a thousand pounds to be transferred from my account to yours! Replace the URL with whatever the URL from the above site was, and the values with whatever values were behind your grey box above. You can use POST or GET or whatever else you like. What you’ll notice is that clicking your button interacts with the site you created in the same way as it would if you were on your site. The “SendLoadsOfMoney” is obviously an example that takes it to the extremes, but the principle is correct. To fix this in MVC is very easy. The required anti-forgery cookie “__RequestVerificationToken” is not present. So far, so good. 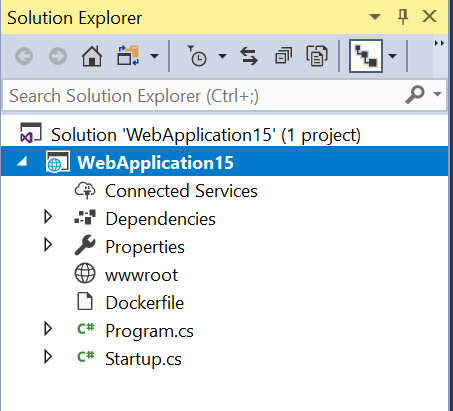 This works for Asp.Net Mvc Core and Framework, but not for ApiControllers! The decorator [ValidateAntiForgeryToken] has no effect on an ApiController out of the box (and worse, you’ll never know it without launching a specific attack on your ApiController). So what can you do? One option is to implement a custom token as described here. I would treat this as a specific case for ApiControllers only, though. This entry was posted in Security and tagged ApiController, Controller, Cross Site Request Forgery, CSRF, MVC, XSRF on October 7, 2018 by pcmichaels.